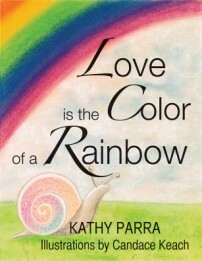 API interviewed author Kathy Parra about her children’s book, Love is the Color of a Rainbow. When I was in the 6th grade, the teacher asked if anyone wanted to assist with the special needs students. I raised my hand and said, “Pick me!” I was paired up with many children, including a girl I will call Willow, who had been blind since birth. Each day I went in to assist her with Braille reading. Willow quickly began to associate most everything in her daily life with a feeling for a color. She even made up her own colors! 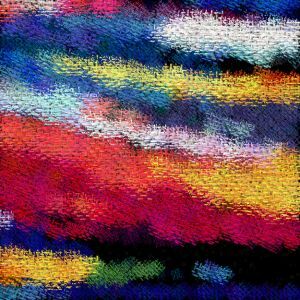 Willow often told me I was like a lot of colors put together, saying that all those colors were love. In that short amount of time that we spent together, I was grateful for her friendship and she for mine. In addition to that experience, my mother encouraged me as a child to be in nature as much as I wished, and I had my own garden at age four, growing various vegetables and such. I took delight in being in the dirt, so to speak. Today I am the mother of three amazing children–all girls, aged 13, 18 and 21. They were an inspiration for me and continue to be so; they have been my greatest teachers. I am honored and blessed to be in the presence of such wisdom. The book has been shared with many families from across the globe, and the response received back has been more than heart-warming. Notes have come in to share things like, “Thank you for your book; it gave me a an opportunity to share with special needs children in such a unique and beautiful way.” Or, “Let us all remember the childlike sense of wonder in this way as we walk through nature.” Many yoga teachers have shared the book to create a sense of oneness. I believe that this book provides unique ideas about how to be with one’s child in nature in very special ways, perhaps ways that will allow each of us to slow down, take a moment and ponder ideas like: How does a tomato feel, or what does the color blue feel like? Encouraging parents to “just be” for that moment in time with their children can make all the difference in a child’s life. Fostering a parent/child interaction on a nature walk, and in so doing empowering children through their senses in nature, is a wonderful way for children to understand their relationship with earth as interconnectedness, that with nature we are one. It is no secret that children who engage in nature experience less stress, better concentration and increased creativity. The journey into motherhood began for me long before conception. Then came breastfeeding, cosleeping, choosing alternative healing/health, shopping in local markets, choosing to unschool the girls so that life is their curriculum, and practicing all of the principles shared by API. I applaud API for continuing to encourage parents to create strong family bonds with their children, for our children are the future gateway to the new world of being. Let us listen to our children, learn and grow from our children, and let our children be children. If we can do this, not only will we have a future generation of children who know themselves and all that surrounds them as a unity, a oneness, but it will also rekindle the childlike sense of wonder within ourselves. The personal stories of families and individuals affected by autism in the beautifully photographed book, From Heartache to Hope: Middle Tennessee Families Living with Autism by Leisa A. Hammett, were an amazing read. 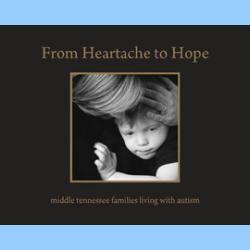 The book follows 18 families in how they have struggled with one or more family members receiving a diagnosis of autism and how they moved literally from heartache to hope — with the parenting support offered by their local Autism Society of Middle Tennessee, USA. This book illustrates the vital importance of unconditional attachment between parent and child in a circumstance where autism exists. Leisa, a mother of a child on the autism spectrum, offers more insight into why this book came to be. 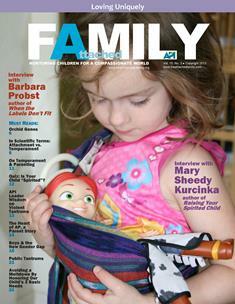 RITA: How did you first became interested in helping other parents of children with autism? LEISA: I’ve always been a flag waver — guess I was born with one flapping in my hand. And then, after serving as a social justice reporter covering poverty, homelessness, addiction, etc., I was moved to use my life, my faith, my gifts, what I possessed, to work for change. That time in my life, my mid-20s, was catalytic. So, in many ways, it’s a bit ironic that I ended up being the type person with circumstances and challenges about whom I used to write. Also, ironically, I’d finished up a volunteer stint as my local La Leche League chapter’s librarian and had promised to do the same for Attachment Parenting International in Nashville, where I live. Jackie informed me yesterday that when she has her own children she will never tell them “no.” Never. I smiled and wished her luck with that. Then, today after school, she informed me that she thinks she might sometimes need to tell them “no.” Sometimes. 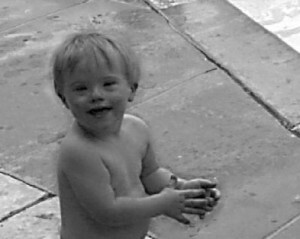 Jackie is a healthy, mostly happy 11-year-old child with special needs. What makes her unique is that she has pervasive developmental disorder. She has some autistic features mixed with a possible mood disorder, though some days I wonder if her mood swings are more related to her approaching coming-of-age. I do not believe there can be anything more emotional that impending menstrual cycles for a young pre-teen. Sigh. When did I become the mother of a pre-teen? The diagnostic category of pervasive developmental disorders (PDD) refers to a group of disorders characterized by delays in the development of socialization and communication skills. Parents may note symptoms as early as infancy, although the typical age of onset is before three years of age. Symptoms may include problems with using and understanding language; difficulty relating to people, objects, and events; unusual play with toys and other objects; difficulty with changes in routine or familiar surroundings; and repetitive body movements or behavior patterns. Autism is the most characteristic and best-studied form of PDD. Other types of PDD include Asperger’s syndrome (a high-functioning form of autism in children who generally have high IQs), Childhood disintegrative disorder (in which a child may develop fairly normally until 18 to 36 months and then begin to regress, especially in speech and social interaction), and Rett’s syndrome (a neurodevelopmental disorder found almost exclusively in females and characterized by normal early development followed by loss of purposeful use of the hands, distinctive hand movements, slowed brain and head growth, gut-associated lymphoid tissue abnormalities, seizures, and mental retardation). Children with PDD vary widely in abilities, intelligence, and behaviors. Some children don’t speak at all, others speak in limited phrases or conversations, and some have relatively normal language development. Repetitive play skills and limited social skills are generally evident. Unusual responses to sensory information, such as loud noises and lights, are also common. Practicing Attachment Parenting has enabled us to be more responsive and more intuitive to Jackie’s needs. My husband and I can often sense what she needs from us and her environment, which is key to our preventing meltdowns and struggles. We also feel strongly that we help her by having a support system for us. We rely on a support team including family, friends, and people from the school system who work with Jackie. Sometimes we need respite care, an extra set of hands, or a parents’ night out. Our sitters are well trained to work with children like Jackie, and all of our kids look forward to the special playtime. We enjoy coming home relaxed and rejuvenated, and know we are in a better place to cope with any challenges that might arise. One of the hardest challenges with raising a special needs child is trying to keep people, including us as her parents, from attempting to force her into being a “typical” child. Jackie is different. She will always be different, and I celebrate that difference. That said, it’s not all roses. There are some thorns. We have struggled with defining what Jackie needs in her school environment. 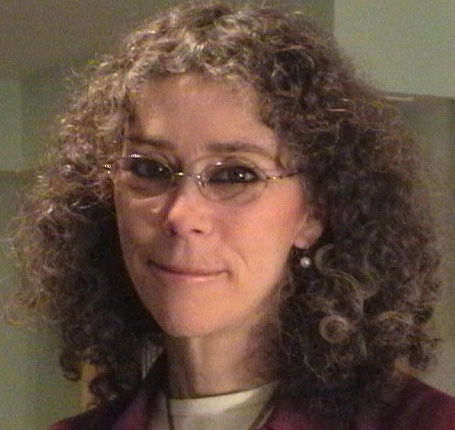 We have also struggled with therapists and psychiatrists who have tried a one-size-fits-all approach to Jackie’s challenges, including the use of medications. We resisted using any medications for a long time, despite the pressures. When we had our fourth child, things really bottomed out for her. She was in such emotional pain. We decided it was unfair to not at least investigate and try medications. 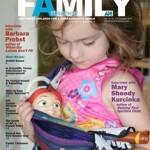 We started out with high hopes, but soon realized that our daughter had become a proverbial guinea pig. We tried half a dozen medications over the course of 18 months. I know some children receive relief from medication, but Jackie never did. In fact, they had a negative effect on her system and she seemed even worse. It was heartbreaking. We ended the experiment and weaned her off all medication. Jackie hit a new low while weaning from the medications. Then, after a month, she seemed herself again. She became more in control of her emotions and behaviors, and her humor returned (something I hadn’t quite realized how much I’d missed). She seemed settled. I cannot quite explain it, but she just seemed more like the daughter that we knew and loved – quirks and all. It’s been about six months, and Jackie continues to improve. She takes two steps forward, then one back (sometimes three back), and then she makes progress again. She was recently able to transition from the special needs school bus to the regular school bus, which was an important milestone for her. No matter how hard we attempt to prepare her to be confident with her special needs, as she gets older there will always be the pull to be more like a “typical” children. She will always want to be “normal.” We embrace Jackie as she is. We have taught all of our children that we are each unique, and we encourage them to be accepting of others, even those who face challenges that make them difficult to deal with. It is now clear that a child can learn in every social interaction, anywhere. The more a child interacts, the more the child will learn, communicatively and cognitively. The key factor is for the child to have many one-on-one partners who act and communicate in ways the child is capable of and interested in. While this is true for typically developing children, the exciting finding is that it is also true for many “late-talking” children such as those with Autism, Down syndrome, apraxia, and other delays. Apraxia is a speech disorder in which a person has trouble saying what he or she wants to say correctly and consistently, and not due to weakness or paralysis of the speech muscles. Developmental apraxia of speech (DAS) differs from developmental delay of speech, in which a child follows the typical path of speech development but more slowly. Children with DAS may have difficulty putting sounds and syllables together in the correct order to form words, or may incorrectly use the varying rhythms, stresses, and inflections of speech that are used to help express meaning. Many parents and professionals act as though a child, especially one with delays, will only learn to talk with trained professionals in therapy and school. This is a myth that can keep a child from his most important teachers – his family. Even if a parent has only one hour each day of one-on-one time with his or her child, she still has about 11 times more interactions with her child than professionals who see the child for only one session per week or are managing a classroom full of children. The difference is much more pronounced in the early, most vulnerable years, when parents often have much more than one hour each day with a child. The difference is even greater than 50 times more than direct contact than with professionals (given several hours of contact at home a day). And since children can learn to interact and communicate in every one-on-one interaction, parents clearly have an enormous advantage over professionals in having developmental impact on children. Even so, many parents believe their child will learn to communicate in the tiny proportion of time they spend with professionals. They will fight hard for an extra half hour of therapy and yet ignore the power they have in their many hours with the child. 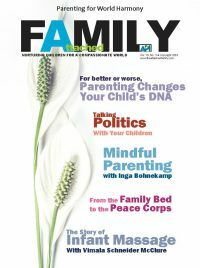 Parents usually have very little training as to how they can effectively help their children socialize and communicate. Consequently, it is clear that professionals will have much more developmental impact on children when they educate parents in effective natural teaching strategies.